I'm starting to take a liking to this brunch idea. Partly for the delicious food, but also because it forces me to start my day a lot earlier than I usually do. 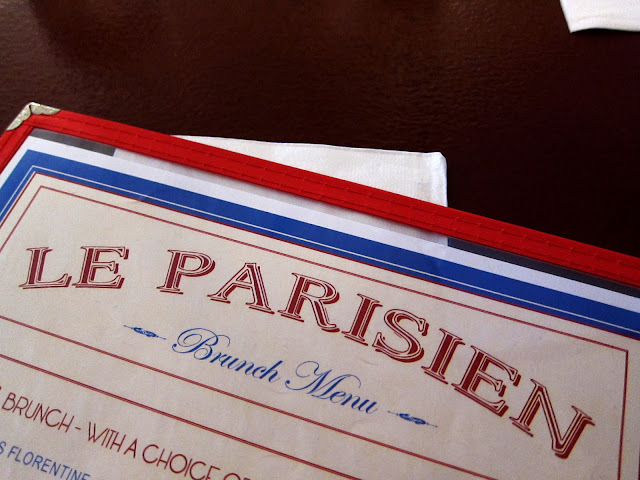 This week's meal was had at Le Parisien Bistrot and I was not disappointed. The price was super reasonable (flat price for brunch) and came with your choice of a mimosa, OJ, coffee, or sangria. 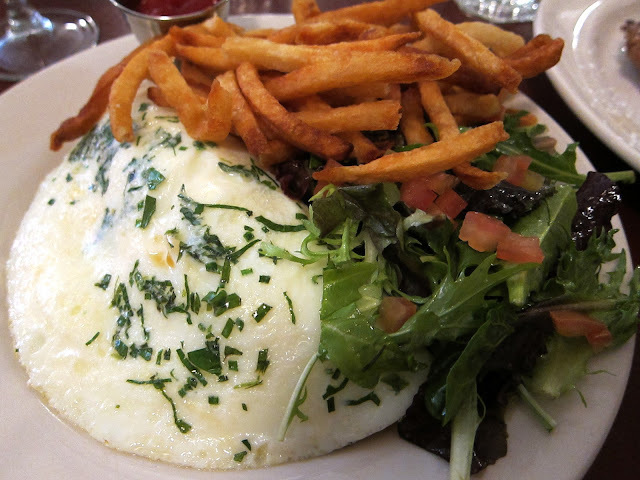 I enjoyed their egg white omelette with salmon gravlax. It was a perfect light dish and definitely kept me full all day. 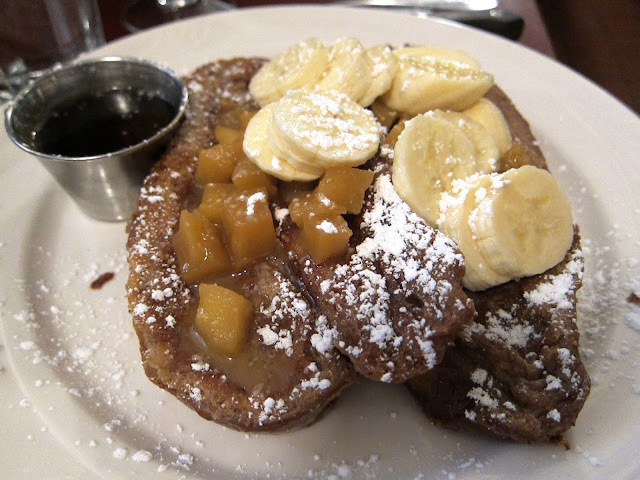 Their french toast was also super fluffy and soft. I'ad have to say that overall we were pretty happy with our meal!